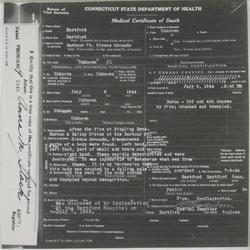 Dismembered body parts collected from the circus grounds after the fire on July 6 were disposed of by incineration at Hartford Hospital on July 7. What is commonly considered the 168th victim of the circus fire may in fact not be an individual person. 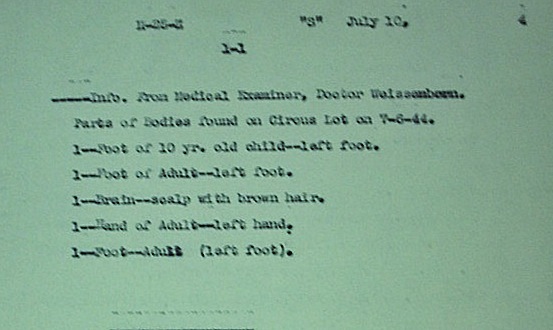 Medical Examiner Dr. Weissenborn described this collection of parts on July 10 as: 1 left foot of a 10 year old child; 1 adult left foot; 1 scalp with brown hair, brain attached; 1 adult left hand; and 1 adult left foot. 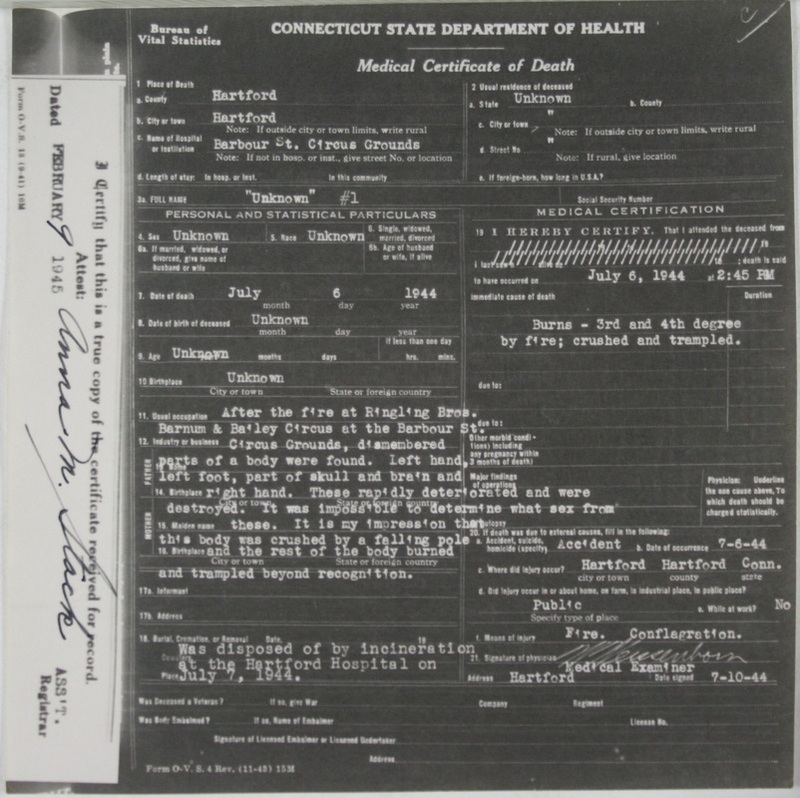 On the July 9th coroner's report and on the July 10th death certificate, Dr. Weissenborn stated that his impression is that this body was crushed by a pole and the body burned and trampled beyond recognition, implying that it was an individual. 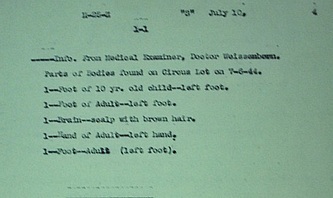 The second "adult left foot" and indication of adult or child parts is omitted from the coroner's report and the death certificate as well.